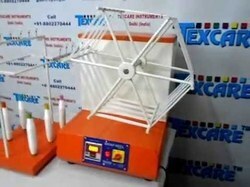 We have gained vast expertise in offering Yarn testing instruments to our clients as per their requirement. These instruments are fabricated under the guidance of our experienced professionals that meet industry standards. 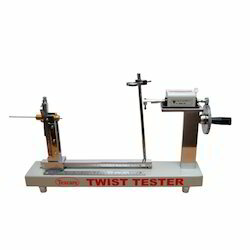 Our range comprises of Wrap Reel, Lea Strength Tester, Yarn Appearance Board Winder, Twist Tester.These are available at industry leading prices. 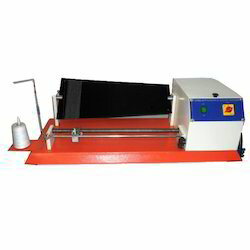 Specially designed to determine make shade card of dyed or colored yarn. No. of shades as per customer requirement. With creel suitable for cones or bobbins or reels. Package Base Plate Metallic with powder coated paint. Needle is provided to separate twisted yarn. Yam Appearance Board Winder consists of a yarn wrap board, and an arrangement to wrap the yarn over it at equal spacing under a desired tension. The board is rotated by motor to wrap yam over it. The yarn is guided on to the board through a yarn guide which moves parallel to the pivoting axis of the board with the help of a screw giving uniformly spaced wraps. The guide is positively linked to the rotation of the board with the help of a chain and sprocket drive. A set of change pulley gives four different spacing to the yarn for wrapping yarn of different counts. A spring-loaded adjustable tensioning arrangement provides the desired tension to the yarn. 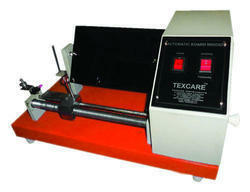 We have gained vast expertise in offering Yarn Testing Instruments to our clients as per their requirement. 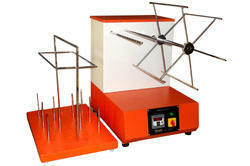 These instruments are fabricated under the guidance of our experienced professionals that meet industry standards. Power Battery Operated, 24 Hours of Continuous Operation. 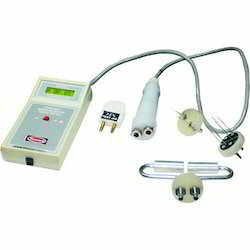 Digital Moisture Meter offered find application for online monitoring (portable) as well as for lab applications. These micro processor based moisture measuring instruments find usage for different fabrics like Viscose, Ryan Wool, Cotton, Jute and Polyester and are made available with features like compact, light weighted finish, easy to operate functions, illuminated LCD display. Further, these are also user-friendly and easy to use and come with battery power back-up so as to ensure 24 hours of continuous operations. 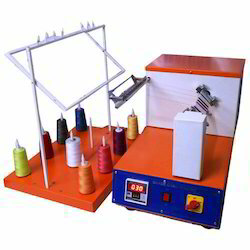 The other features include low battery indication on display and suitability for all types of Fabrics, Yarn & Fiber and other defined products. 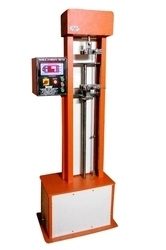 We are the leading supplier and manufacturer of Lea Strength Testing.